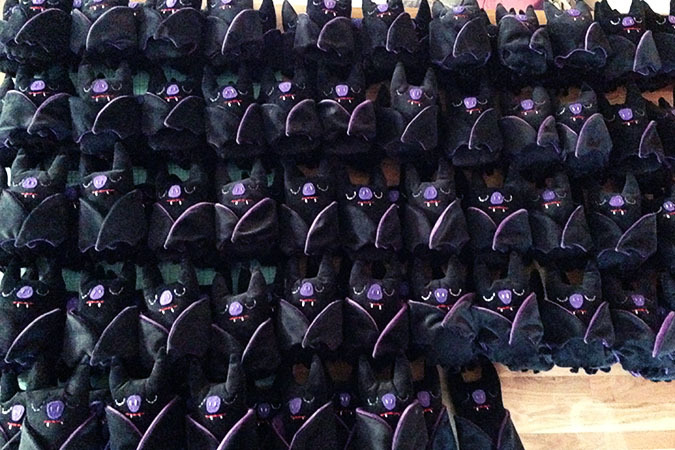 Another month another Plush Of The Month Club box shipped & received. Actually I am currently in the midst of packing up November boxes, so its always funny to look back and realize that another month has gone by in a flash. 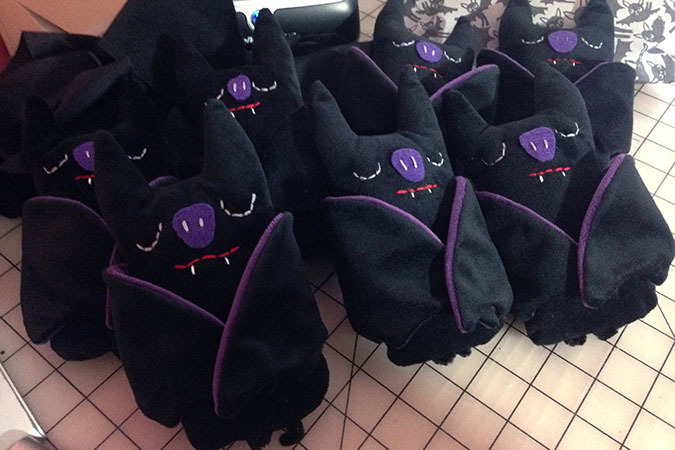 For the October boxes I decided I wanted to make plush bats out of a soft velvet fabric I found. I debated on making them have wings that open and close with velcro, or posable feet that they could hang upside down with. In the end I went with both, because sometimes ideas just overtake you like that. 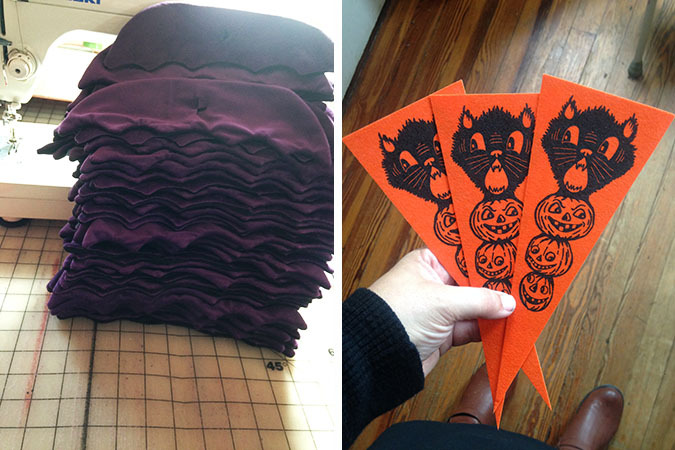 I drew up a vintage style Halloween cat/pumpkin totem sort of thing and had it silkscreened onto orange pennants to add into the boxes. 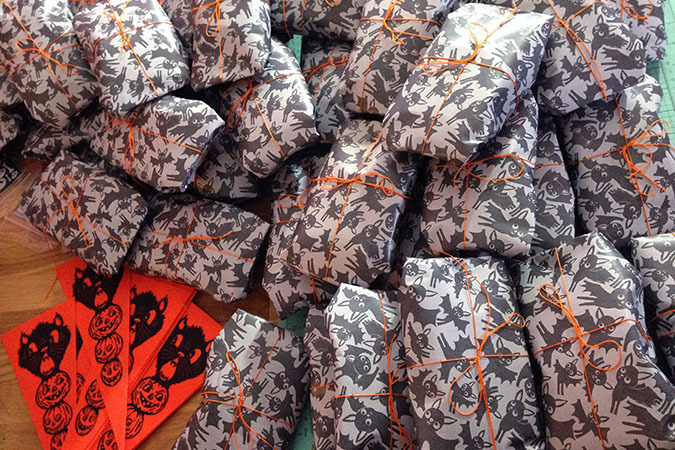 I also sent gummy body parts in skeleton treat bags along because a Halloween box needs at least one candy treat! 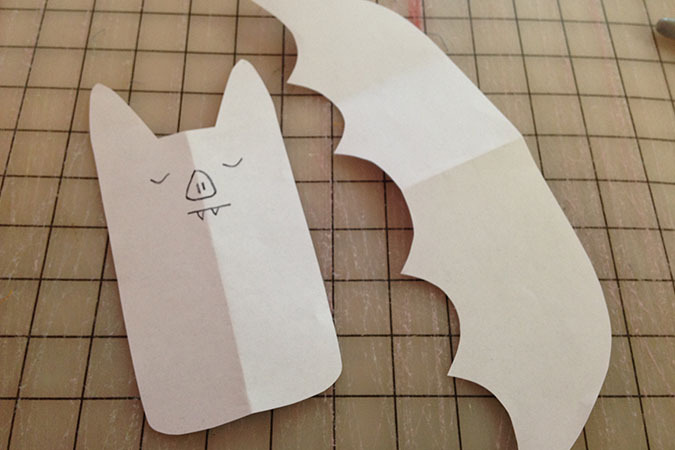 I decided I wanted to wrap the bats in Halloween wrapping paper, and thought my bats design would work out well. 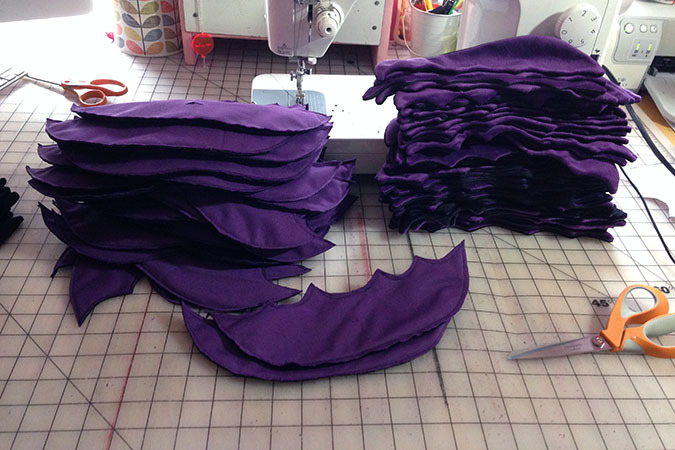 Since I knew I would only need a small sheet for each bat I had my pattern printed on legal sized paper as individual wrapping sheets. This meant that even though I was going to be wrapping up 200 presents, I at least would not need to cut the paper for each of them. 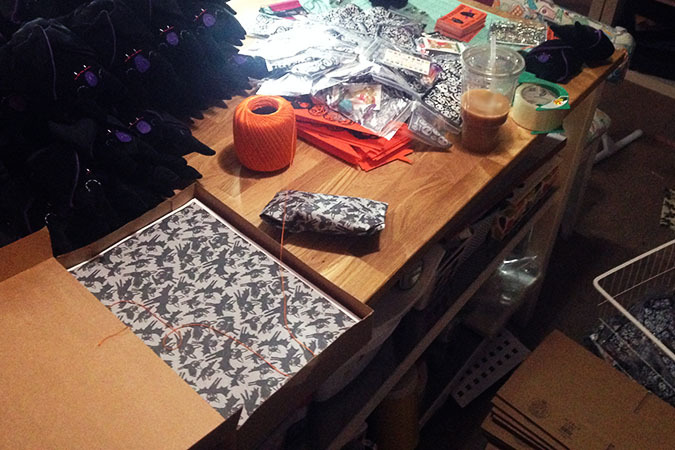 The bats were then tied with some orange string to add to the festive feel. All of the photos in this post are from my phone, and a few were taken at night, so please forgive the bad lighting. As you can see when it comes to packing them up I require lots and lots of coffee. I hope you enjoy the peeks inside the process. 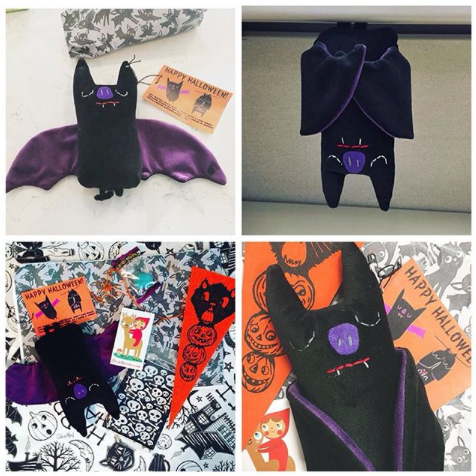 Tagged halloween, my plush, my work, plush of the month club. Bookmark the permalink. Little tear of sadness, this is my first month without Plush of the Month Club coming in the mail. And that pennant, I die. You really outdid yourself this month! So adorable!